I won’t pretend like these are better than the real thing, because nothing beats a warm, fluffy marshmallow and melted chocolate sandwiched between graham crackers. However, these cookies are pretty tasty and require no fire. 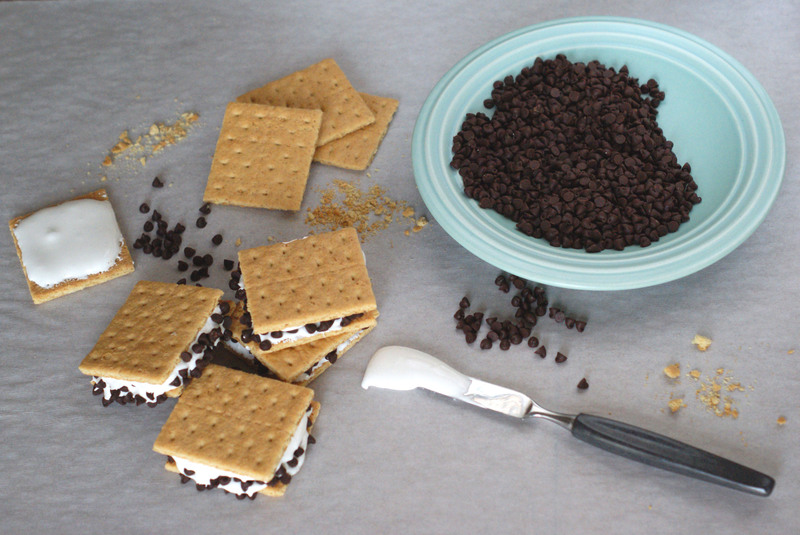 Spread marshmallow fluff on a graham cracker, add another on top, and roll in miniature chocolate chips. A straightforward alternative to building a campfire in the kitchen.